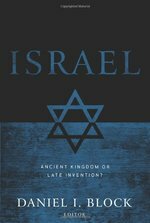 is a collection of essays responding to the radical claims that Israel and its history actually began following the Babylonian exile, and that the history of Israel we read about in the Bible is a fictionalized account. The acclaimed Dictionary of Scripture and Ethics (DSE), written to respond to the movement among biblical scholars and ethicists to recover the Bible for moral formation, offered needed orientation and perspective on the vital relationship between Scripture and ethics. This book-by-book survey of the Old Testament features key articles from the DSE, bringing together a stellar list of contributors to introduce students to the use of the Old Testament for moral formation. It will serve as an excellent supplementary text. The stellar list of contributors includes Bruce Birch, Mark Boda, William Brown, Stephen Chapman, Daniel Harrington, and Dennis Olson. In this first volume in the Library of Biblical Theology series, Walter Brueggemann portrays the key components in Israel's encounter with God as recorded in the Hebrew Bible. Creation, election, Torah, the divine hand in history; these and other theological high points appear both in their original historical context, and their ongoing relevance for contemporary Jewish and Christian self-understanding. Synopsis: What is Old Testament Theology? For the past two hundred years Old Testament scholars have developed a distinctive presentation of the theological significance of this literature on the basis of a penetrating historical criticism. Increasingly, however, the form and structure of this discipline have moved away from other areas of theological investigation. The result is that today Old Testament theology bears little relationship to the historic ways in which Christians and Jews have actually found theological meaning in the Bible. Author Biography: R. E. Clements is Samuel Davidson Professor of Old Testament Studies at King's College, London. His many books include Old Testament Prophecy, Studies in the Book of Isaiah, and Wisdom for a Changing World. Why was the law given to Israel and how should we view it today? How does the Old Testament understand sin and salvation? Did God command Israel to commit genocide? What was the role of the temple and its sacrifices in God s covenant with Israel? 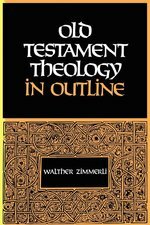 Is there an integrating and central theme of Old Testament theology? What did God require of Israel and how does that apply to Christians today? Should we look to the Old Testament for solutions to twenty-first century issues? How should we read the Old Testament in light of Christ? During the period that the Old Testament came into being, Israel, from who whose world the documents contained in the Old Testament derive, underwent many changes, especially in its sociological structures. Such changes produce changes in liturgical life, resulting finally in the elimination of a multiplicity of sanctuaries and focusing on Jerusalem.Walther Zimmerli suggests that a presentation of Old Testament theology cannot close its eyes to all this movement and change. This classic study expertly outlines the essential religious structures and tensions of the Old Testament.